Parking structures are subjected to a harsh environment, and repairs will be necessary during their life affecting operations and users. 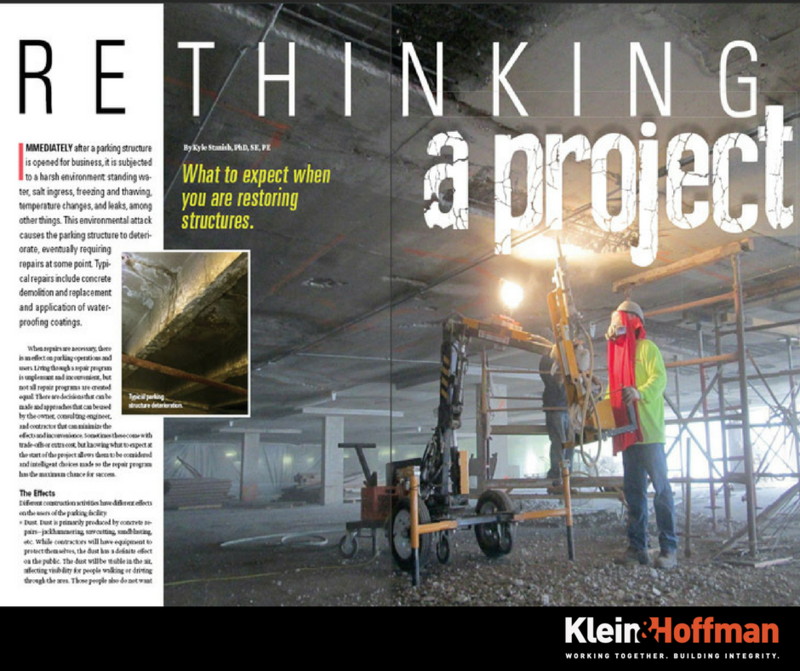 The International Parking Institute recently published the following article written by K&H’s Kyle Stanish in ‘The Parking Professional’ magazine. View this article on our Resources Page to read about some of the most common impacts and ways that the Owner, Consultant, and Contractor can mitigate the effects through creative planning & implementation before and during the repair program.